After several years of slumber, China’s luxury market is finally returning to growth. You would not know that, though, from peering into its — mostly empty — high-end stores. Western luxury brands have banked for years on rapid growth in China to drive global profits. The country’s breakneck economic expansion created legions of wealthy consumers keen to flaunt their newfound status. Many traveled overseas, buying high-end handbags and exotic watches in London, Milan, Paris and elsewhere. But when luxury retailers invested heavily to bolster their marketing and expand their store networks within China, the bet never quite paid off. A slowdown in the Chinese economy, as well as an anti-corruption campaign led by the country’s president, Xi Jinping, left customers less willing to splash large amounts of money. That is now changing. Sales of luxury goods in mainland China are forecast to grow by between 20 and 22 percent this year, according to a report by the consulting firm Bain & Company. The authors of the study, one of the most closely watched overviews of the global high-end retail market, predicted that such expansion would drive up growth across the global luxury market by as much as 8 percent. On the streets of Beijing, Shanghai and other Chinese cities, however, luxury shoppers are hard to find. And that is because the country is increasingly leading a shift in how such shopping is carried out. Take the Taikoo Li shopping center, regularly touted as proof of the rising power of the Chinese consumer. Its 19 buildings, in one of Beijing’s busiest retail areas, house some of the world’s biggest brands — Versace, Balenciaga and a two-story Apple store that was once pelted with eggs by customers angry over a botched iPhone launch. The sight of would-be buyers in any of those luxury shops, however, is extremely rare. Salespeople have little to do except mill around and stare through the front windows. Instead, customers in China buy their luxury goods from elsewhere — and increasingly online. Whereas groups like LVMH Moët Hennessy Louis Vuitton and Kering have traditionally invested heavily in a flawless in-store experience, catering to consumers who want to be pampered and doted upon, Chinese shoppers are typically younger and heavily influenced by social media. More and more, they like to spend their money in a digital shopping culture that is distinct from that of Europe and North America, and they are well versed in price differences across the world. As a result, luxury brands have revised their pricing strategies in China, and have worked to cater to local customers. They communicate with customers via WeChat, a ubiquitous messaging and social media app that is increasingly used as a shopping portal; they work with regional celebrities and “influencers”; and they offer additional services like white-gloved delivery staff to replicate the old-fashioned shopping experience. “Buyers of luxury in China are young, increasingly fashion-savvy and well aware of the price-value equation,” said the lead author of the study, Claudia D’Arpizio, a Bain partner. According to Ms. D’Arpizio, the strong performance of the mainland China market suggests that luxury brands’ new strategies are bearing fruit. Growth in the luxury market in China has also been helped by the government in Beijing. When authorities enacted capital controls in late 2016, making it harder to move money overseas, many Chinese looked for ways of spending at home. The government has also cracked down on the “daigou” industry, in which shopping agents help consumers buy goods overseas for a fee, while import tariffs on almost 200 consumer goods categories were cut in December, lowering prices for everything from cashmere to cosmetics. “After a period where many mainland Chinese shoppers traveled to Europe to make their purchases in the search of better deals, the tide has turned, and more and more now choose to buy online or in foreign locations closer to home like Hong Kong, Japan and South Korea,” Ms. D’Arpizio said. Over all, that growth in China is helping the global luxury market regain its luster. That is evident in earnings reports. Major players like LVMH have posted glowing earnings reports this year, with overall sales volume rather than price increases driving market growth. Aside from China, bright spots cited in the Bain report for this year included the United States, where a weaker dollar should lift sales to tourists, and Asian markets excluding China, where sales figures are expected to grow by between 9 to 11 percent. The only major region expected to struggle is Europe, where a stronger euro is expected to weigh heavily on luxury sales, particularly to tourists. 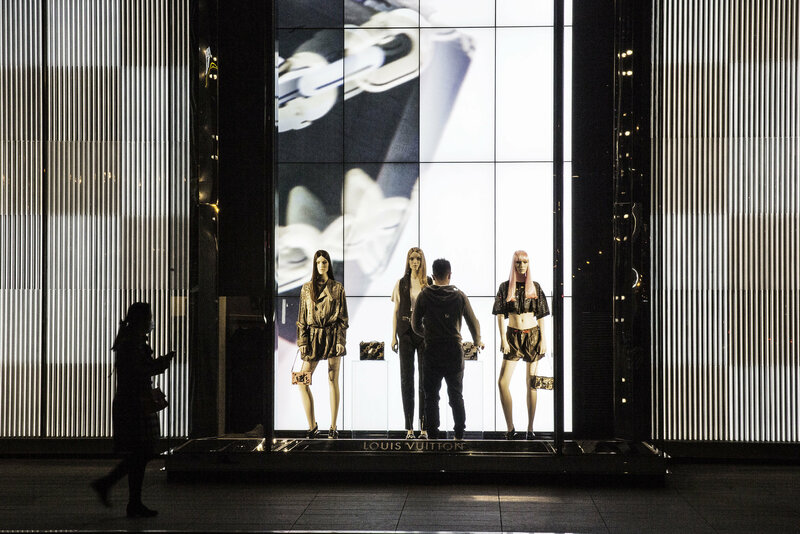 As in China, though, the key for luxury brands will be targeting younger, tech-savvy shoppers, according to Bain.